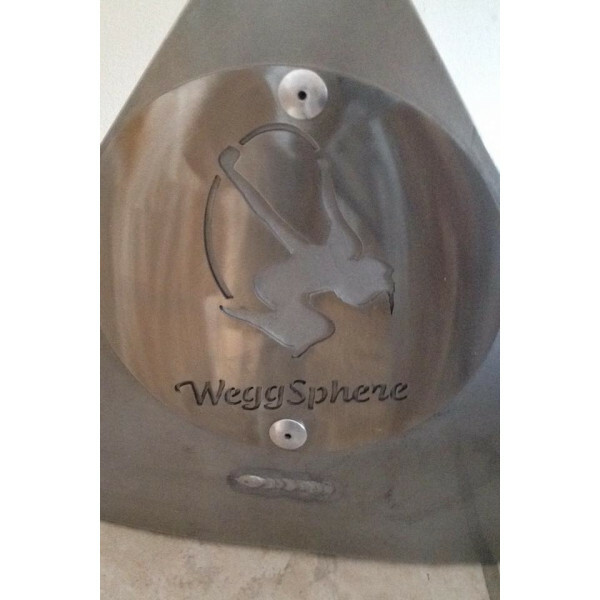 A Speciality Product, The Weggsphere has been improved and redesigned. 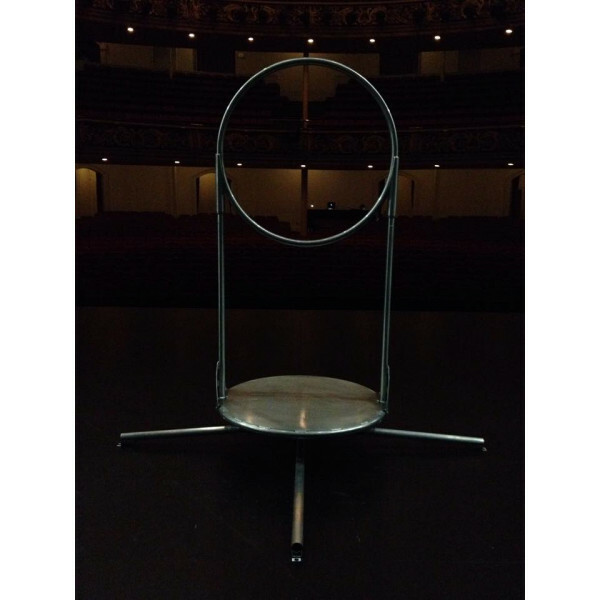 It’s manufactured by CircusConcepts for Meaghan Wegg. 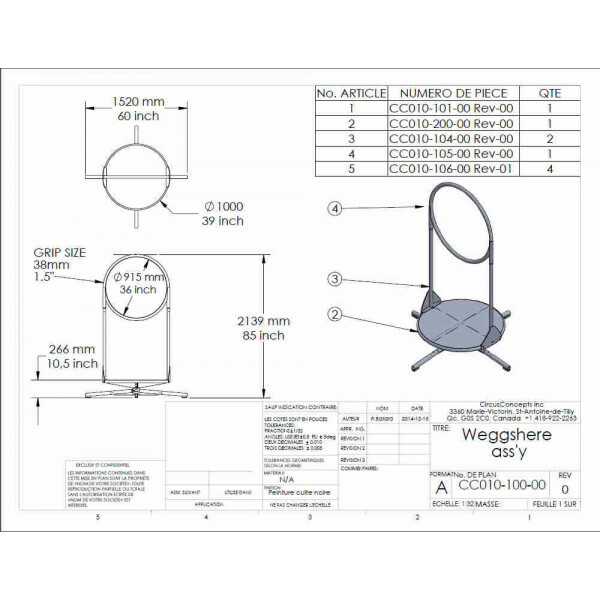 The Weggsphere comes standard with an Aluminum colour on the Table and Ring part and components. In option, we can change this colour for the one of your choice. Painted Sphere (Top Part only) - In this option we will add one colour of your choice to any part(s) of the platform or ring of Weggsphere. Painted, Sphere and Legs, 2 Colours: We offer you to have 2 colours on your Weggsphere. We recommend a black base and the platform and ring any other colour of your choice. Note: The Weggsphere can be painted any colour or even have a special finish like Rusted metal upon request. Contact us for a quote. 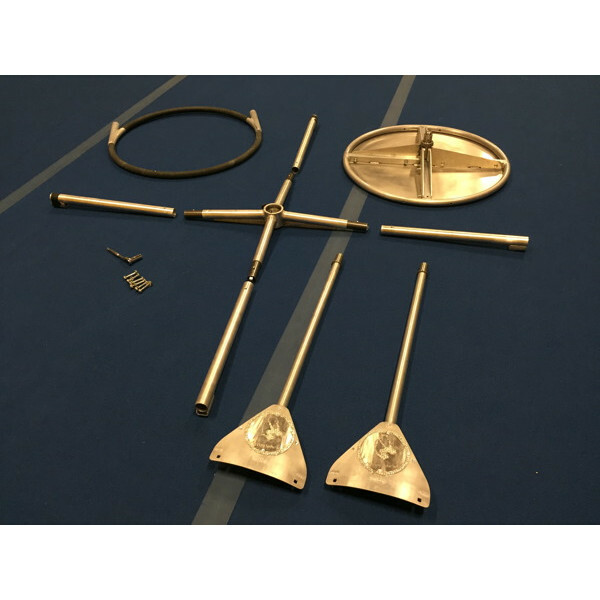 Assembly Video - See how easy it is to set up! This is the 'full kit' option for our tripod. If you'r unsure what you need, we packed everything yo..